Valley Christian Track & Field: Renati Punches Ticket to State Championship! Renati Punches Ticket to State Championship! Salinas, CA – Joe Renati punched his ticket to the CIF Stat Championship finishing ninth in the D2 boys race at the CCS Championship Saturday. 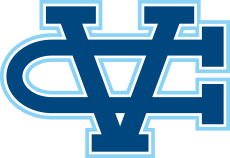 It marks the thirteenth consecutive year Valley Christian will be represented at the State Championship. The senior had a bounce back performance after sluggish showing at WCAL the week prior. His run of 16:12 was enough to snag an individual qualifying position to the State Championship. Running in the eleventh position at the halfway point, just 7 seconds off the front pack, Renati made his move heading into the camel humps, a strategic set of three hills right before the two mile mark. Moving up to ninth position he held strong to the finish with a personal best time of 16:12, a mark that ranks #2 all-time in school history. Christine Albrecht has been stellar in her first year of cross country. She finished as high as second in league competition and entering the race was on the bubble of a state qualifying position. She came in prepared and ran a brilliant race tactically. The front pack took the pace out fast with Albrecht running patiently in the chase pack. Moving up from 12th at the mile mark to 8th at the halfway mark, she crossed the 1.6 mile split in 10:01, just thirteen 13 seconds off the lead pack. Hitting the hills she moved up two places and into a battle with Gianna Mendoza of Presentation who also was moving up well. Running the steep downhill called the “corkscrew” right before the 2-mile mark, Albrecht’s hip flexor pulled. Over the final ½ mile the pain increased and she did all she could to she fight to the finish. Despite the injury she held on to finish 17th in 20:02, just 19 seconds off her personal best respectably. Katelyn Stone had a strong summer but came down injured missing much of the early season. The sophomore debuted at the Pacific Tiger Invitational and had continued to show strong improvement running personal bests in every race she competed in. Finishing eighth in the WCAL Championship the week prior the sophomore was starting to find her groove. Unfortunately she fell ill and missed the majority of the week. Given the option of sitting out CCS she would have none of it. Despite the handicap Stone had a strong performance finishing the 3-mile course in 21:13, a time that ranks top 20 all-time for the Warriors.